Diawara and Seymali have profoundly different approaches to the fusion of their respective musical traditions and Western styles and instrumentation. Diawara, who moved to Paris in 2001 to pursue an acting career (her credits include Academy Award-nominated film “Timbuktu (Le Chagrin des Oiseaux)” found her voice as a singer-songwriter almost by chance while touring with a theater company. She began performing in clubs and worked as a backup singer, on tour, and on record, with jazz vocalist Dee Dee Bridgewater and Malian superstar Oumou Sangaré, her aunt and mentor. Diawara’s music is a mesmerizing blend of traditional Malian music and elements of Western pop, rock, Afro-Cuban, funk, and jazz. In the arc of a song, she can go from delicate, translucent textures and a hypnotic groove to a hard-edged, rock-style guitar solo and back. 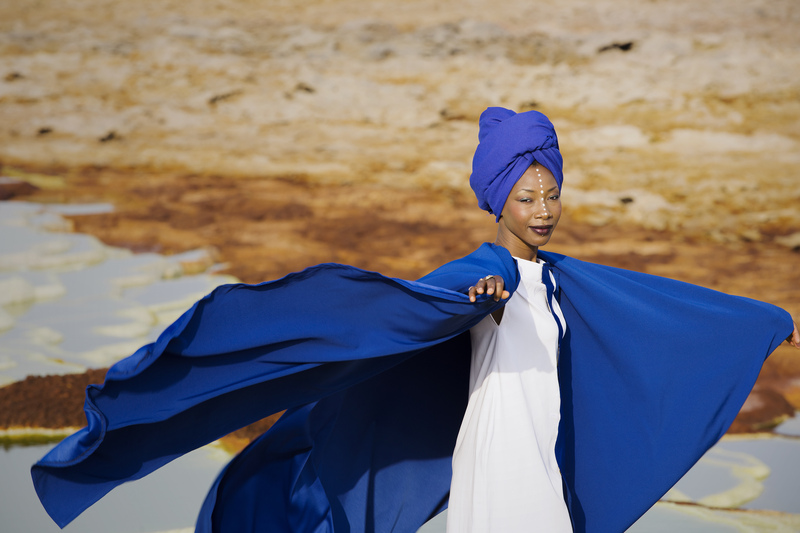 She sings in her native language, Bambara, and her lyrics address issues such as the pain of emigration, the fate of the ancient Malian city of Timbuktu under the rule of religious fundamentalists, and the practice of female circumcision. Not exactly standard pop fare. Meanwhile, singer, songwriter and musician Noura Mint Seymali was born in an important Moorish griot family in Mauritania. Her father was a scholar-artist, her stepmother a celebrated singer. (Griots are oral historians, praise singers, poets, and musicians.) Backed by a band that includes drums and electric bass, which add a funk bounce to the music, Noura sings while playing the ardine, a 10 string, harplike instrument reserved only for women (she was called “the Jimi Hendrix of the ardine” by Al Jazeera English). She has a penetrating and expressive voice, and the overall sound of her music is a particular fusion that hews closer to traditional music. It has evoked psych rock and blues comparisons in the Western press, perhaps in part because of the remarkable work by guitarist Jeich Ould Chighaly, also Noura’s husband. Playing on an electric guitar modified to suggest the sound of the harplike tidinit, Jeich sets the accompaniment, offering melodic counter lines or mirroring and responding to the inflections in Noura’s singing. It’s a sound at once earthy and otherworldly. Curiously, that might very well be the description of the music at the very beginning of Afro Roots Fest: a tribute show for idiosyncratic jazz bandleader Sun Ra at the now-defunct club Tobacco Road in 1999. Over the years, the event has showcased South Florida-based performers and groups, and also international acts such as Salif Keita, Vieux Farka Toure, Hassan Hakmoun, and Boukman Eksperyans. As it evolved, it not only survived several venue changes — from the initial Tobacco Road and the St. John’s on the Lake church in Miami Beach, to locations including the Little Haiti Cultural Center and the North Beach Bandshell — but expanded. It now includes events up in Palm Beach County and as far south as Key West. Just don’t read into this a blooming interest in world music in South Florida, Elias cautions.